Brain injury is called the ‘silent’ epidemic with 5.3 million Americans live with brain injury and occurs every 23 seconds. A brain injury is defined as a disruption in the normal function of the brain that can be caused by a bump, blow, or jolt to the head. 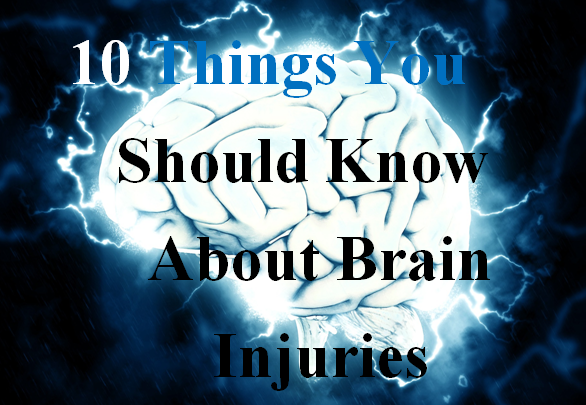 The following are 10 facts that you should know about brain injuries. Depending on the severity of the brain injury, effects may include temporary loss of consciousness or coma, respiratory or damaged motor functions. A concussion can be caused by direct blows to the head, gunshot wound, violent shaking of the head or force from a whiplash. This entry was posted in Brain Injury, Chidren/Teens, Children with Special Needs and tagged acquired brain injury, concussion, head trauma, traumatic brain injury. Bookmark the permalink.